The world's largest treatment surface. No long courses for learning. No attendees needed after startup, so you and your college's can treat other clients. Leasing covered by one client per day. Right now BioLaser special deals on both rental and purchase. It has 3 rotatable joints for perfect adjustment of the angle and height. BioLaser is unique with no less than 510x230 m.m. treatment area (highest in the world). The 5 panels has 800 pieces of the best german osram laser diodes, with a total output of 400,000 milivats. The treatment head can be adjusted according to the treatment area, for instance, around a knee, shoulder, or face. BioLaser dimensions: Hight: 135 cm, breadth with laser arm fully extended: 145 cm. 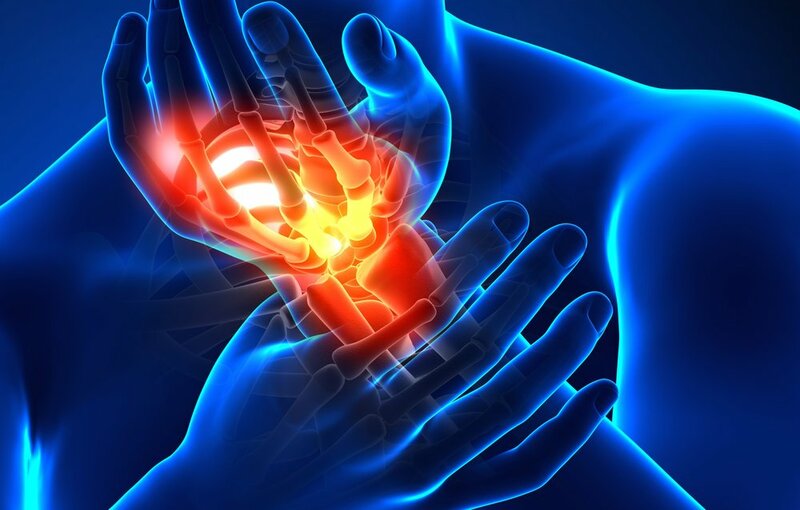 The infrared light (808 nm) penetrates all the way into the bones and removes inflammation. 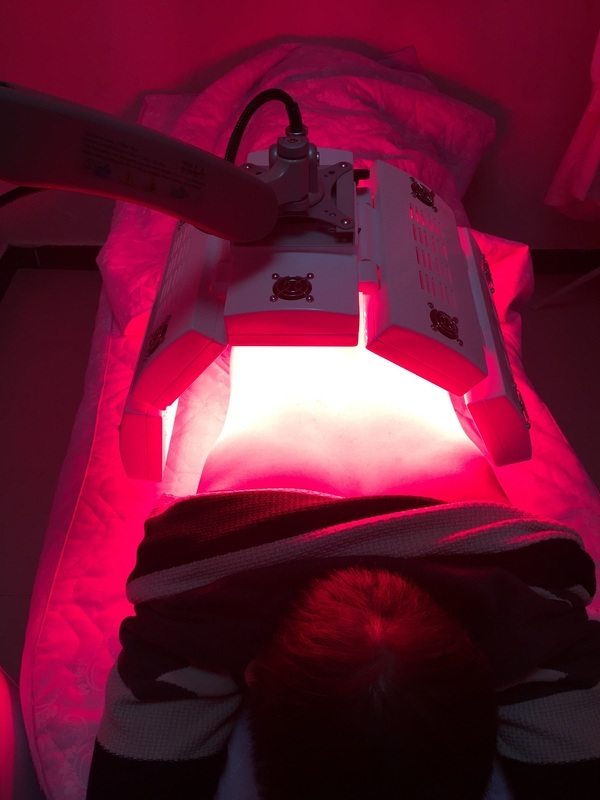 The red light (660 nm) stimulates the microcirculation in the the skin, muscles and mucose and heal all tissue. The blue/violet light (405 nm) helps reduce bacteria in the surface of the skin, if used in connection with 808 and/or 660 it penetrates the skind and reduce bacteria on a deep level. Cell tissue wavelength: Researchers at The University of Chicago have discovered that the average wavelength of cell tissue in the human body varies between 600 nm and 720 nm; 660 nm is the center. The reason why 660 nm works better than any other single frequency is because it is closer to the resonance frequency of cell tissue. The other reason is that 660 nm is better absorbed in hemoglobin. 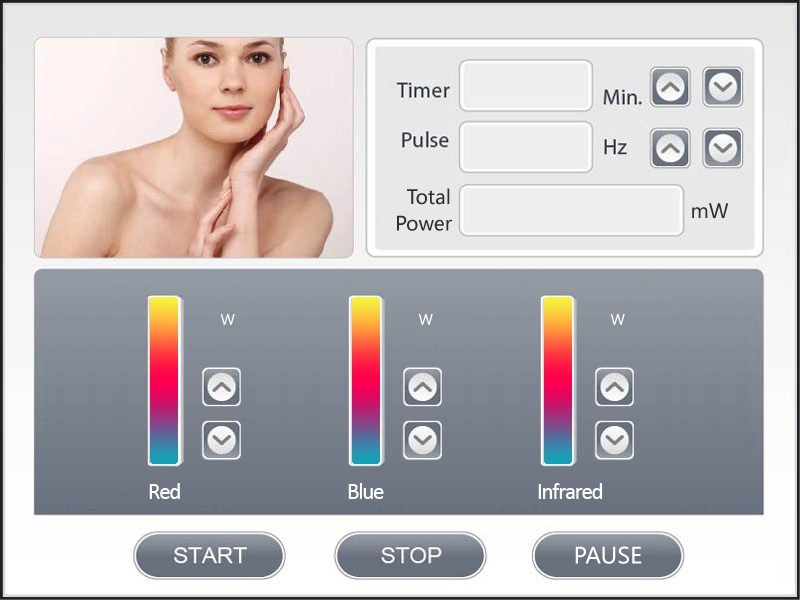 The control panel helps you to easily select color (nanometer ), and how strong the laser light should be. Biolaser is the world's strongest cold laser giving you the ultimate treatment for virtually any body injury. Our competitors have up to 25,000 milliwatts (MW). Our Biolaser reaches up to to 400,000 MilliWatts, which are distributed as follows: Infrared: 808 NanoMeters can be adjusted from 0 to 200,000 MW. Red: 660 NM can be adjusted from 0 to the 100,000 MW. Blue: 405 NM can be adjusted from 0 to the 100,000 MW. Biolaser has the most advanced high-tech cooling system, and we use only the best German quality laser diodes. This guarantees excellent treatment results. Most of our competitors unfortunately use cheap LED bulbs. So their laser light cannot penetrate as deeply into the body cells. Lasers can cut through steel , they can operate in the eye with great precision, they can read and write information on DVDs etc. 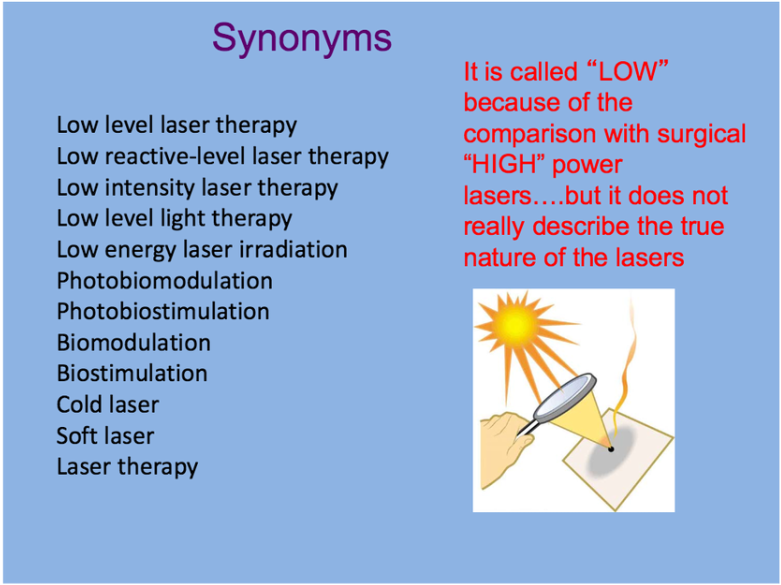 But for lasers overall to us the most important feature is its healing properties. The definition of laser light is simply the light that is coherent which means: light in the same wavelength. 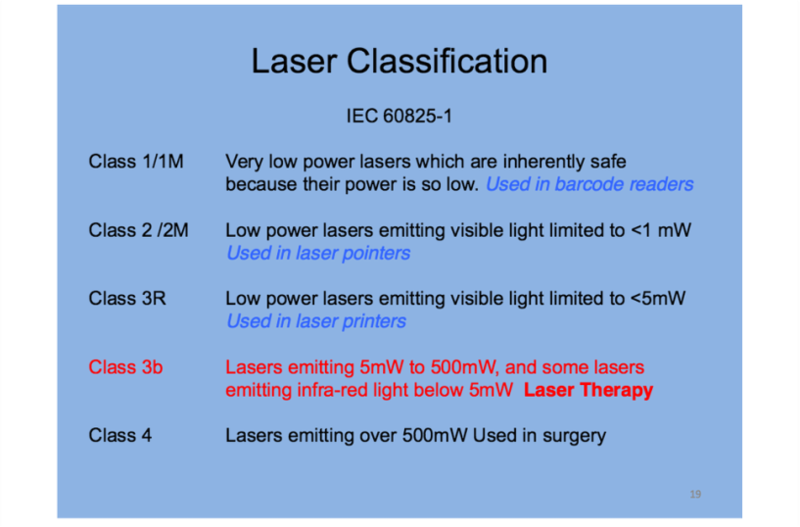 If one uses a collector lens it is possible to focus the laser light to enable it to cut through steel, but the light from BioLaser used for the treatment of diseases, is directed through a so-called flat lens. It sends the light into parallel paths which enables it to enter the bodycells without any feeling of discomfort by the patient. 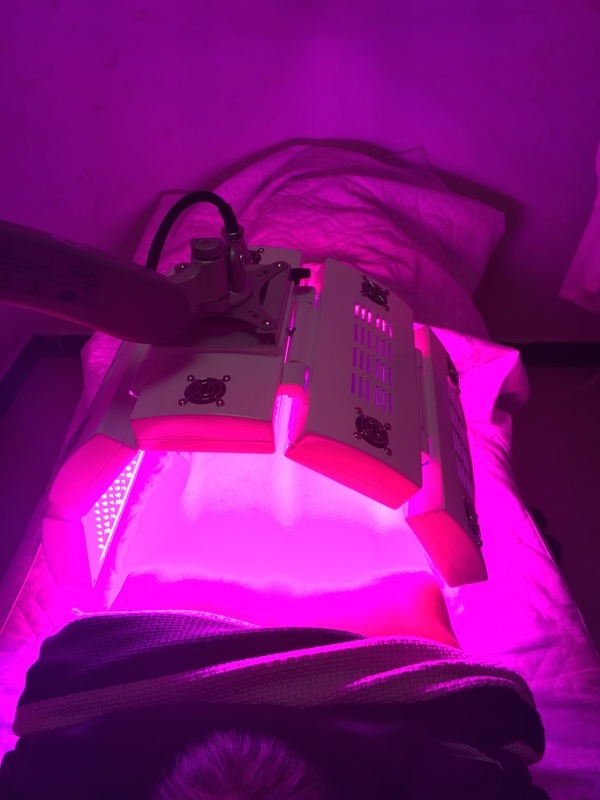 Lasers have been used for more than 40 years to reduce pain, inflammation, edema, healing of wounds, deeper tissue and nerves, as well as the prevention of cell death and tissue damage. Cold laser can cure the vast majority of diseases as they help the body to heal itself.. Laser treatment delivers light energy to the mitochondria which readily absorb the laser light, and convert it into cellular energy. The picture left shows mitochondria with its inner membrane studded with electrical activity. 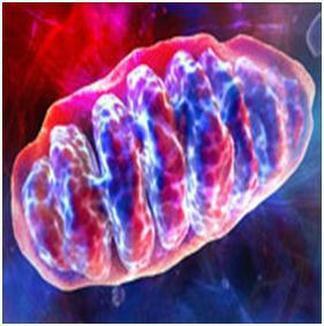 Mitochondria are small batteries, and have the ability to absorb light energy in the infrared spectrum. Very similar to bacterial life forms which have photosynthetic abilities. The respiratory system enzyme in the mitochondria makes an electrical gradient across the inner membrane. An enzyme embedded in the inner membrane is called Cytochrome C Oxidase. It absorbs, and converts infrared light to electrical energy, and from there to ATP (Adenosine Tri Phosphate) which is the cell's energy source. 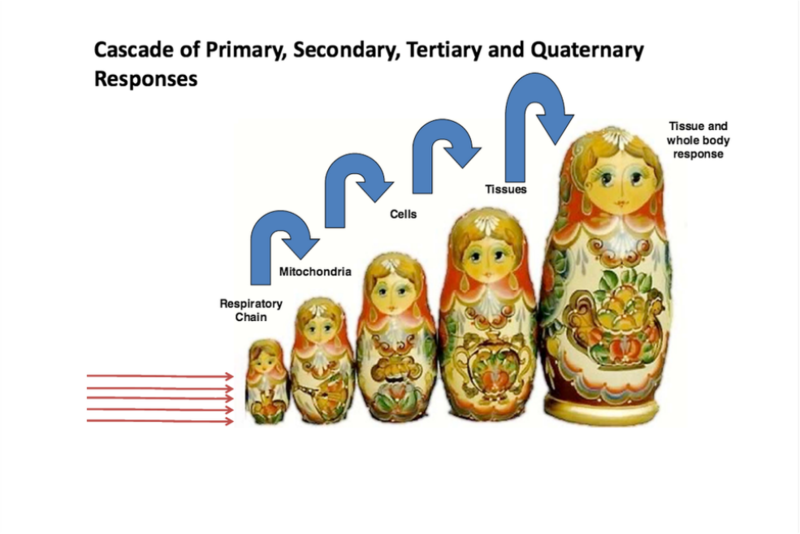 When cell damage occurs this causes acute energy loss as there is no longer created enough ATP. The laser light provides the energy directly back to the cell, and increases its healing time by about 50%. There are no side effects from the cold laser therapy. Cold laser delivers the same light as the sun, but because the light is coherent, it can penetrate into the bones and the body cells. Cold laser is used wordwide by hospitals, chiropraktors, massage clinics, pain clinics, beauty clinics etc. Combine your practice as chiropractor, physiotherapist, masseur, etc. with BioLaser. You can treat other patients, while your BioLaser is working wonders on its own.